As of 2018, NCAWPA will officially begin hosting a first-of-its kind event on the East Coast, a long-distance dragon boat race. 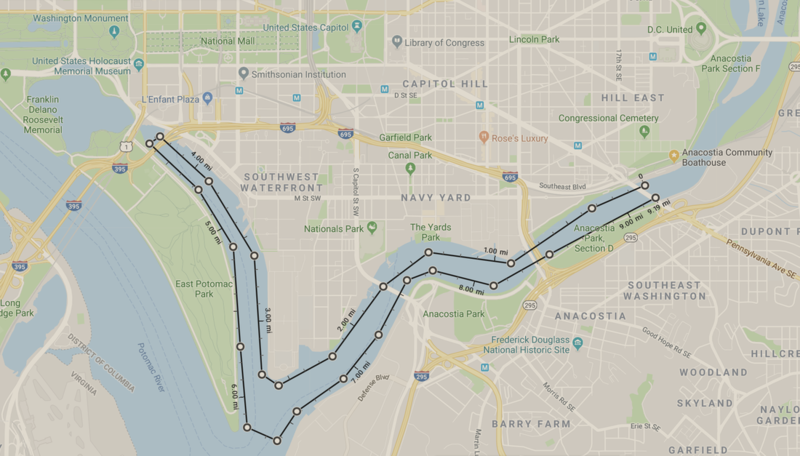 This ~9 mile race will begin at the Anacostia Community Boathouse and travel downstream the Anacostia River, turn up the Washington Channel towards the Wharf, turn around at the I-395 bridge, and return along the same route. The race will be run similar to an outrigger canoe race: all crews will assemble at the start line and will be released at the same time. Crews may have their paddlers switch sides at will and do not have to remain on the same side for the whole race. Crews must pass on the correct side of each identified target buoy and keep to the appropriate side of the river per the standard "rules of the road" unless otherwise specified. Registration: Link to be provided soon!